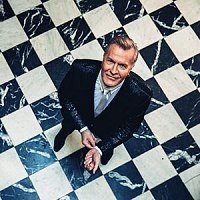 Electronic pop-soul band from Sheffield formed in 1980, fronted by singer Martin Fry. ABC scored a major album success with 1982's 'Lexicon Of Love' (produced by Trevor Horn) and its subsequent single releases 'Poison Arrow', 'The Look Of Love', 'Tears Are Not Enough' and 'All Of My Heart'. Other key songs include 'Be Near Me', 'When Smokey Sings', 'The Night You Murdered Love' and 'That Was Then But This Is Now'. In 2016 the band issued "The Lexicon of Love II", a follow-up to their 1982 debut album.